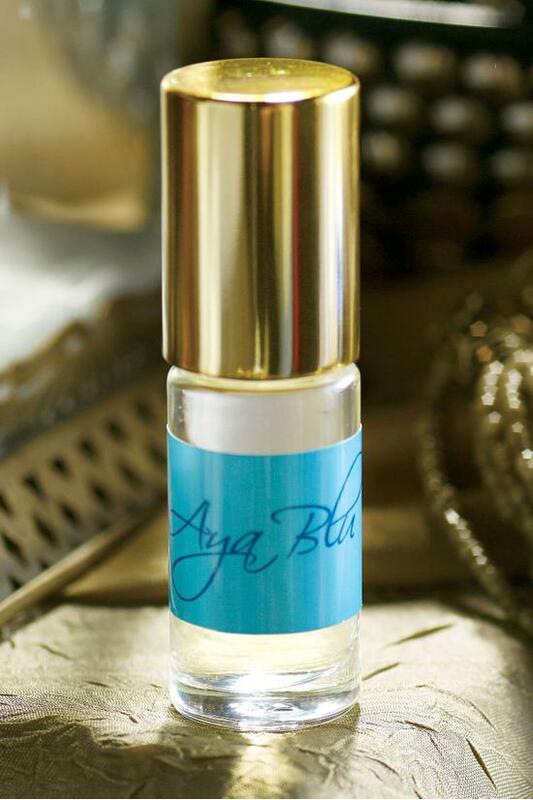 Aya Blu transports the woman who wears it to exotic lands, mystical moments and unexpected discoveries. Lose yourself in the seductive and intoxicating embrace of Aya Blu. Spell-binding top notes of Persian lime, purple orchid and Italian white truffle fuse with spicy wild ginger and Madagascar vanilla. It finishes with Indian sandalwood, warm amber and a subtle undertone of musk for a uniquely sensual scent unlike any other. Deliver lasting fragrance wherever and whenever you need it thanks to the discreet rollerball applicator and purse friendly size. 0.16 fl.oz. SD Alcohol 40-B, Dipropylene Glycol, Water, Fragrance.